How Chiropractic Helps Those That Suffer from Iliotibial Band Syndrome – Coberly Chiropractic, Inc.
Iliotibial band syndrome is a very common injury among runners. If it is diagnosed early and treatment commences immediately the chances of it becoming a chronic condition are reduced. It responds very well to chiropractic since it involves the pelvis and related muscles. When pelvic mechanics are not functioning properly the muscle don’t work efficiently which hinders flexibility and mobility. This can lead to tight muscles which may inhibit motion and cause pain. 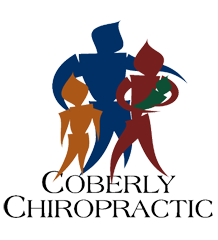 Chiropractic adjustments have been proven to help with the condition. The Iliotibial Band, or fasciae latae, is the outer casing of muscle that extends along the outer thigh, from the top of the hip to the outside of the knee. Iliotibial band syndrome occurs when that casing becomes thickened. It is flexed or tight when you stand; it is what keeps your let straight, allowing the larger thigh muscle to rest. There are two primary muscles that are involved in iliotibial band syndrome, the buttock muscle, or gluteus maximus, and the tensor fasciae latae muscles. Sometimes Iliotibial Band Syndrome is referred to Tensor Fasciae Latae Syndrome and the two terms can be used interchangeably. As the iliotibial band thickens it pulls in the area where it connects to the knee. This results in knee pain due to the application of too much pressure on the bursa. The bursa then becomes swollen, inflamed, and painful. During activity, such as running on an incline, the glutes are heavily involved. The other end of the iliotibial band is inserted at the glutes so as the band tightens from this activity, it can trigger iliotibial band syndrome pain. Repeated activity further aggravates it, as does running on tight indoor tracks or uneven roads as well as having collapsed arches or running it inferior or worn out running shoes. There may not be any pain until you do something that aggravates it like climbing a hill. The pain may not begin until you are mid-way through a run. The pain can be intense and debilitating. It can accompany a snapping hip, which occurs when the muscles that cross the outer hip may click or snap while running or walking. The pain may be present along the lateral thigh without incorporating the knee, but it is only in very rare instances that it is concentrated on the gluteal or hip muscles. Iliotibial band syndrome is often attributed to over training. This can mean suddenly increasing hill repeats or doubling your mileage. If your iliotibial band syndrome is caused by a problem with pelvic function, relieving the pain from the condition can be difficult. Stretching is not likely to bring relief – and if it does it won’t last long. If the pain from iliotibial band syndrome lasts for more than two weeks even if you are only stretching, your regular exercise routine, and ice and you don’t see much improvement, a chiropractor can help. Even if the pain is located in the knee, the problem could originate in the pelvis. A chiropractor can assess your condition, check to see that your pelvis is functioning properly. If it isn’t, spinal adjustments and other chiropractic treatments can bring the body back into alignment and make the pelvis more functional.